Spreading salt on sidewalks and roadways is an effective way to melt snow and ice. Salts dissolve in water quickly, breaking down into ions. The presence of multiple ions lowers the freezing point of water, reducing the amount of ice. The Environmental Protection Agency has studied the effects of different salts on plant and animal species, assessing the benefits and dangers. 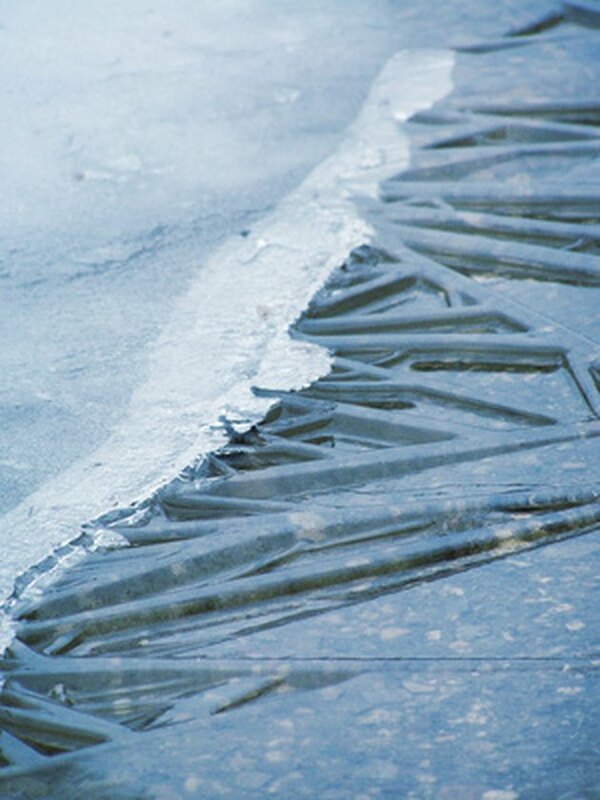 Salt on roadways makes it harder for ice to form. Halite, or rock salt is a form of sodium chloride, the same chemical compound as table salt. Halite is mined, usually from sources underground. It is commonly used for salting roads but it can be harmful to vegetation, especially in high concentrations. Like halite, potassium chloride--or potash--is a mined salt that is sometimes used to melt ice on streets. Potassium chloride is also a plant fertilizer, although the high doses that plants receive as a result of road salting can be harmful. According to Bob Peeples, chemical engineer with the United States Postal Service, the highway department in northern Arizona ran into unanticipated difficulty after salting roads with potassium chloride. The vegetation on the highway medians became so lush that it attracted animals, becoming a traffic hazard. Calcium magnesium acetate is probably the safest and least environmentally damaging type of road salt. It is biodegradable and has little negative effect on vegetation and wildlife. It is also non-corrosive, causing little rust damage to automobiles. However calcium magnesium acetate can cost up to 30 times as much as other road salts, making it impractical for most everyday applications. Road crews use calcium magnesium acetate is areas that are environmentally fragile. In addition, the compound can reduce the risk of damage from other salts even when used as only 20 percent of a road salt mix.